Welcome to the first episode of our Wolfpack Ninjas podcast! We are SUPER PSYCHED! In this first Wolfpack Ninjas podcast we discuss our Initiative, TEAM NINJA WARRIOR, the purpose of the podcast, Noah’s health tips, Ian’s training tips, Brian’s Answers, and Meagan’s Girly Tips. We also discuss and answer: “WHAT HAPPENED TO ISAAC CALDIERO?” and “IS HE PART OF THE WOLFPACK?” JUICY!!! This is so much fun! Sean Mccoll (Team Europe World-Cup Champion superstar!) …These interviews are already done! But there is so more ahead for this weekly podcast! 2016 will also see the likes of: Lance Pekus, Abel Gonzalez, Elet Hall, Alan Connealy, Drew Drechsel, Jimmy Webb, Sasha DiGuilian, Kevin Jorgesen… and so many other surprise guests and celebrities. WOW! Noah Kaufman, MD – The NinjaDoc! 40 yr old ER Doc, Wolfpack leader, father. Ian Dory – The WolfPup! 25 yr old World-cup climber, ANW 3rd place finisher the last 2 years, father. Meagan Martin – The SheWolf! 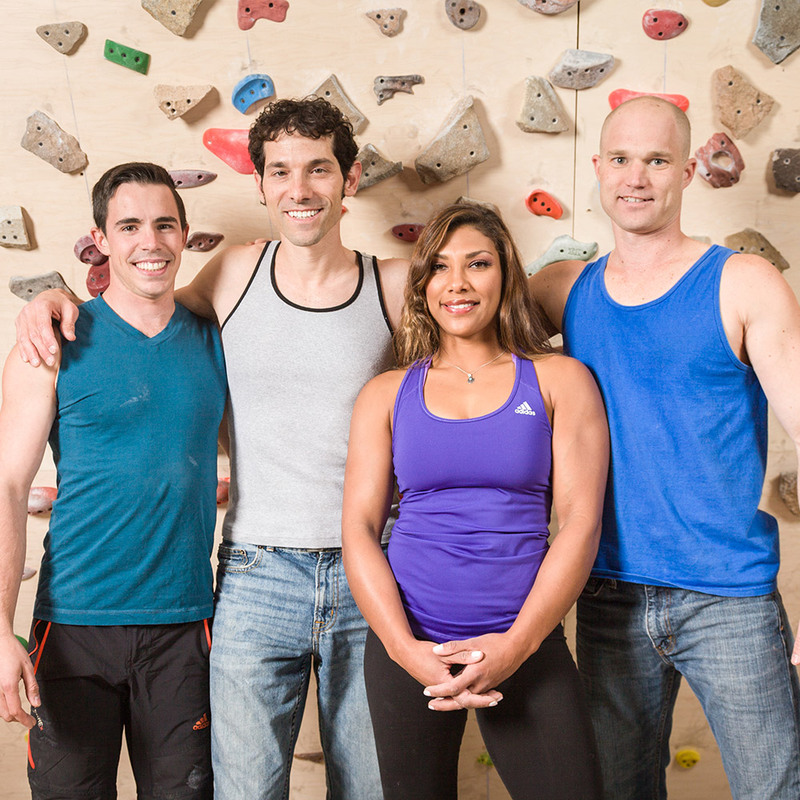 26 yr old Amazing climber and the female who has gone the furthest most consistently on American Ninja Warrior. Brian Arnold – 36 yr old First American to complete stage 3, ANW 5 Champ, father. You will notice that 3 of the Wolfpack Ninjas are fathers! With children, we have all gained an appreciation for kids that only a parent (and Meagan Martin) could possibly know. With this love of all kids, the Wolfpack decided to use our minor celebrity status and platform to take on CHILDHOOD OBESITY and overweight problems which now hover at around 30%! a third of these kids are going to go on to have problems with diabetes, heart diseas, cancer and many other health issues. THIS IS INSANE! Also, and perhaps even worse 68% of American adults are overweight or obese and heart disease is the #1 killer in America today. Horrible. Help us fight this insanity. Start by watching the movie “Fed Up” (it’s on Netflix.) Amazing. Learn more here: http://fedupmovie.com/#/page/home inspiring work by Katie Couric and Stephanie Soechtig. Great documentary. Please spread the word about our lil’ Wolfpack Ninjas podcast and leave comments about your thoughts, who you want interviewed and or comments, questions for Brian or any of us and anything else you need to get you psyched!